Artistry in painting and tapestry comes handy as a mirror of society and life. It exudes the essence of significant events by adding stem to visual literacy. In Liberia, this industry, despite its outstanding relevance is relegated to the back seat of national development efforts. 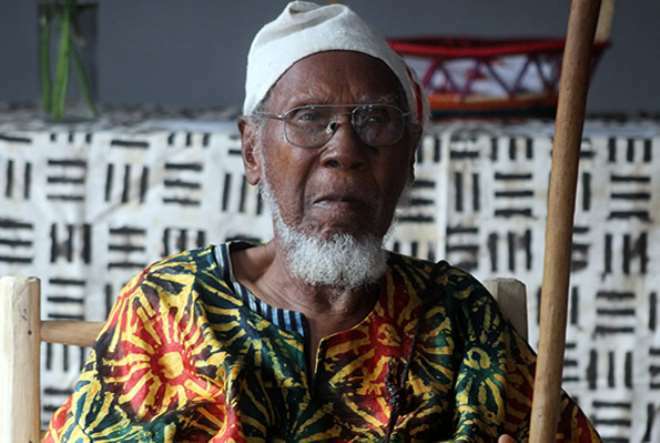 This is gamble Liberia’s international painting and tapestry icon Baba Shabu is not willing to toy with through the opening of his “Art House” to mark his 90th birth anniversary on Friday, April 5, 2019 on Sekou Toure Avenue, UN Drive in Monrovia. The exhibition, ‘[email protected],’ saw the display of several works of art. 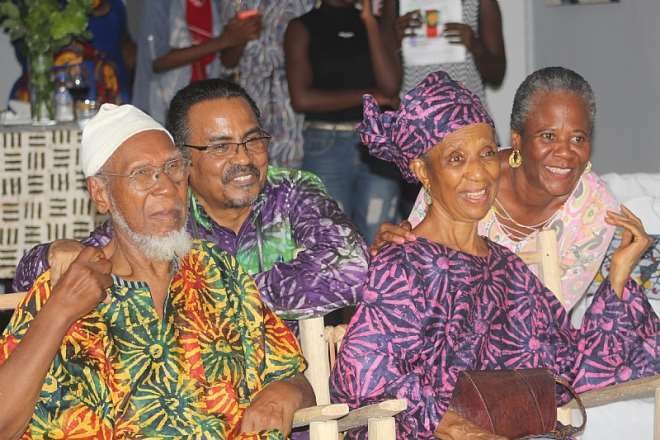 Organizers said that the event was about ensuring a resurgence of Liberian arts, which has been a lifelong work of Baba Shabu. In November 2016, during the reopening of the National Museum, Shabu and his wife Mama Shabu curated an art exhibition on the third floor. 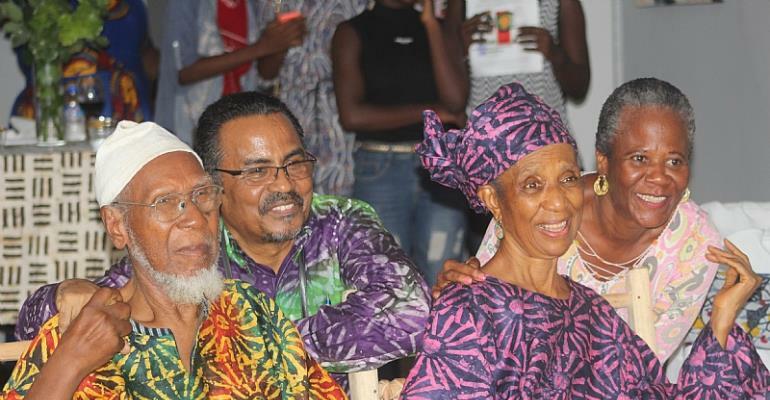 Shabu told the audience at the well-attended exhibition that the event was part of his efforts to continue what he called the Liberian Arts Renaissance. “It is about time we all come together and join hands to give our arts renaissance the biggest boost so far,” Shabu said. During the event, the conversation was dominated by a need to carry on Shabu’s work of ensuring a resurgence of attention to the arts and culture in Liberia. Many prominent individuals were present and made comments on that subject. Burrowes, a Liberian historian, said the role Shabu has played is not just in the context of Liberia, but also the pan-African context. Burrowes said Shabu has played an important role in the country’s art renaissance. “Culture and arts are fundamental in determining who Liberians are as a people,” he added. Given the country’s recent experience with 14 years of civil conflict which created division and confusion, Burrowes said Liberians have not recovered from the crisis because “most Liberians do not know their history.” For Liberians to fully recover as people from the civil conflict, Burrowes said they need to be in touch with their art, culture, and history. In other African countries like Ghana, Guinea, or Senegal, Burrowes noted that the people have a deep sense of their contribution to their history. Burrowes said the present reality of Liberia is the case that people residing in Lofa who have no idea how Grebo sounds or about the history of those in Maryland, Grand Kru, or River Gee. Alternatively, he said there are many in River Gee who know nothing about those in Gbarpolu. “How can Liberians call themselves a country if they do not know each other’s history?” he added. In other parts of the world, Burrowes said people learn much about their culture and history. For example, the Cuttington University administrator noted that every year in the U.S., films about the country’s civil war or the country’s first president are shown on television. “The same stories are repeated every year because the younger generation needs to know about the country’s past and current history,” he said, adding that it also keeps the memories alive for the older generation. “The country’s history being shown on video is workable, but the will is lacking,” he, however, cautioned. Ian Yhap, who previously served as managing director and chair of the board of the Liberia Electricity Corporation, considers Shabu as his father. He said his first encounter with the renowned painter was in 1969 after Shabu arrived in Liberia from the U.S.
After the decade-long civil war, Yhap said Liberians do not seem to appreciate that they have a culture, but that Shabu has remained a constant that Liberians have shared over the years. Yhap urged Liberians to stop and rethink their history. He drew attention to the virtual disappearance of songs from the 1990s and 2000s from radio airwaves. He noted that Liberian songs like ‘Sweet Liberia,’ ‘Jump through the Window,’ and ‘City on Fire,’ have mostly disappeared while old American songs performed by artists such as Marvin Gaye can still be heard on local radios. “The Liberian past and present seem not to have much of a connection,” he said.